We can’t escape the ‘Trumpisms’ anymore. Tom Fletcher draws our attention today to more “fake news”, this time from the Wilderness Committee, who “hauled a giant inflatable plastic grizzly bear” to a protest last week to “attract gullible TV coverage of their petition demanding an endangered species law”. Ironically, “grizzlies aren’t endangered”, but perhaps they couldn’t find a huge inflatable spotted owl? Keeping the crosshairs focused on grizzlies, a new report released by the Grizzly Bear Foundation includes “19 recommendations aimed at protecting” the bears. They encourage terminating “the hunt”, and trading guns for cameras, warning that if we don’t take action “there are dark days ahead for the grizzly bear”. Greenpeace is returning the volley lobbed their way by Resolute CEO Richard Garneau. In a press release they accuse Garneau of publishing “a loosely held together set of lies, exaggerations and out-of-context statements”, that set his company up as the victim. Instead, Greenpeace says Resolute’s accusations “are the actions of a bully, not a victim”. But, Greenpeace isn’t out of the woods yet—Kevin Libin, National Post, exposes their “marketing hype”. Libin concludes his opinion piece saying “Greenpeace admissions make it clear that environmentalists will spout baloney—in the “loose, figurative sense”—to make money in ways no company would dare”. Well Greenpeace, the ball’s back in your court now! We end with good news, the US Senate and House has introduced the Timber Innovation Act, directing technical assistance and research toward sustainable mass timber technology and construction. Bob Glowinski, president of the American Wood Council applauds the move, saying it will enhance infrastructure development and put people to work. The City of Prince Albert will remain silent on the details on a possible mutli-million dollar settlement with Domtar Pulp and Paper Products Inc. until later in this month. Kiley Bear, the city’s communications manager, told paNOW in an email on Tuesday the city won’t comment on the issue until the March 27 city council meeting. She wrote a public report will be presented at that time as well as an official comment from the city following the meeting. Last week, paNOW wrote a story that the city appears to owe Domtar roughly $5.1 million. The two appeared to have reached a settlement following a lengthy legal battle over property assessment values. Domtar argued the company’s property was assessed too high in 2009 and 2010. Both the city’s school divisions are also involved as they collect a portion of property taxes. By Millar Western Forest Products Ltd.
EDMONTON – Millar Western Forest Products Ltd. today announced a proposed exchange transaction in respect of the Company’s US$210 million aggregate principal amount of 8.5% Senior Notes due 2021 that would significantly reduce the Company’s indebtedness, deleverage its capital structure and strengthen its financial position, thereby creating added stability for the Company and enhancing the Company’s ability to respond to and capitalize on developments in the forest products industry. Williams Lake is one of the stops for set community meetings tackling the Softwood Lumber Agreement, trade and the future of forestry in the province. “We are having meetings in five communities — Prince George, Mackenzie, Quesnel, Williams Lake and Fort St. James,” said Peter Ewart, Stand Up For the North co-ordinator of the meetings. “We are very interested in fostering discussion about workers in communities having more say over what is happening with forestry in B.C. 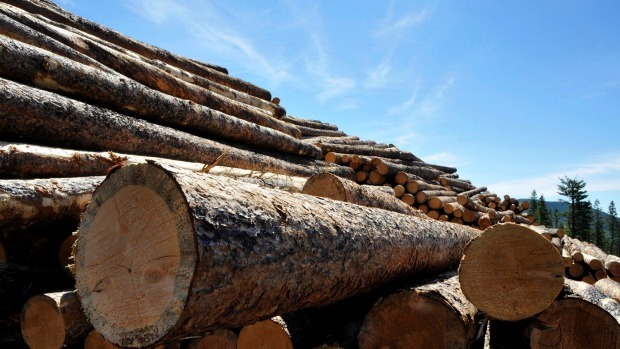 in regards to mill closures, mill-forest oversight, runaway forest companies, raw log exports and a whole number of issues.” Ewart criticized the provincial government’s removal of appertancy, which required companies to process the logs in the community where there were harvested. “Taking it away you are leaving forestry-based communities dangling in the wind,” he said. …What a relief to hear that Greenpeace now says that we shouldn’t seriously believe its claims. We’re not actually meant to take what it says literally. …But Greenpeace isn’t advertising the admission that it doesn’t trade in facts. Instead, it revealed it in recent court filings defending itself against a U.S. lawsuit by Canada’s Resolute Forest Products. …Since a racketeering suit can bring triple damages, and since Resolute claims Greenpeace’s harassment campaign has cost it upwards of $100 million, the gravity of the threat has motivated Greenpeace to come up with the best defence it can muster. Turns out that includes telling the court that its claims about Resolute being “forest destroyers,” responsible for a “caribou death spiral and extinction” and myriad other vilifications, were all just marketing hype. Recently in the National Review, Richard Garneau, the CEO of Resolute Forest Products published a loosely held together set of lies, exaggerations and out-of-context statements about a lawsuit that his company has filed against Greenpeace entities in the United States. In that piece, he misrepresents Greenpeace communications and legal statements to bolster his unsupportable view that a 46 year old non-profit with a strong record of advocating for the protection of the environment has singled his multi-billion dollar company out and made it a victim. The truth is much simpler. Greenpeace, in advocating for the Boreal forest, critiqued Resolute’s practices in good faith, and Garneau responded by slamming the organization first with a defamation lawsuit in Canada and then a $300 million Canadian dollar RICO lawsuit in the US. …Those are the actions of a bully, not a victim. The unprecedented US racketeering action bought against Greenpeace Inc by an aggressively aggrieved Canadian timber company passed another milestone recently with the environmental defender arguing that it should not matter whether the claims presented in its anti-logging campaign were facts. Last year Resolute Forest Products decided to use US laws that were originally crafted to tame the Mafia as a tool to end a reputation-damaging five-year war of words and deeds with Greenpeace Canada. …So when Greenpeace advertises Resolute as the “Forest Destroyer”, well, that is just the sort of “heated rhetoric” that is the “coin of the realm” in this sort of conflict. That Resolute has planted more than one billion trees to mitigate its enduring cull of mature trees is a truth inconvenient to what is really just a marketing pitch for the hearts and minds of Canadians. The board of Victoria’s Heyfield timber mill, which is at risk of closure because of supply issues, has agreed to a government request to delay a decision on its future. 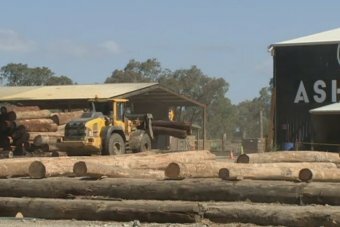 The Victorian Government asked the board of Australian Sustainable Hardwoods (ASH) to postpone its decision by a week, so the Government could continue to negotiate a deal to keep the mill open and its 250 workers employed. The mill is dependent on a viable timber supply from the state-owned VicForests, but has no supply locked in beyond June. The company rejected VicForests’ last offer of a short-term contract at half the current volume, which it described as unsustainable. David Lindenmayer’s opinion piece contained mistruths (“Mill plea misleading”, WT March 1). Based in Heyfield, Australian Sustainable Hardwoods is Australia’s largest hardwood sawmiller, timber processor and manufacturer. ASH employs 230 direct employees and 20 contractors, competes with imports and is profitable. In 2014, ASH and VicForests signed a 20-year contract providing 155,000 cubic metres a year of sawlogs. Mr Linden­mayer’s claims to the contrary are false. Unlike me, he had no involvement in those discussions. I believe his analysis on the Leadbeater’s possum is similarly incorrect. The 2014 ASH contract did not take effect due to the change of government in Victoria at the time. Sufficient timber exists to meet the requirements of ASH. 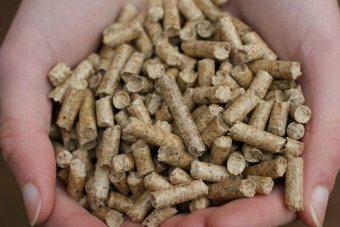 An Australian wood pellet processing plant in care and maintenance for the past five years is set to be recommissioned due to a low Australian dollar and increased international demand. Plantation Energy secured $7 million of funding from multinational energy company ENGIE to recommission the plant in Albany, on the south coast of Western Australia. The three-year venture to secure funding was aided by advisory company Argonaut, which had been working with Plantation Energy owner Renewable Heat and Power Limited (RHP). The plant will have the capability to produce 250,000 metric tonnes of wood pellets a year, making it the largest plant of its type in Australia. THUNDER BAY – A Neebing family watched their new home take shape right before their eyes on Monday, one log at a time, with help from some professional, and unique contractors who see log homes as works of art. “The logs, it’s a beautiful thing, the wood talks to you,” said Peter Arnold, a contractor with Pioneer Log Homes. “All you have to do is listen with your eyes. In any form, we are just the privileged ones who are allowed to work with it. The art form is given. It’s the log.” Arnold, a log home builder from British Columbia and one of the hosts of HGTV’s reality series, Timber Kings, is in Thunder Bay working with Erickson Contracting to construct a log home for Linda and Rick of Neebing. WASHINGTON – The Senate and House today introduced the “Timber Innovation Act” to the support of the American Wood Council (AWC), American Forest Foundation (AFF), Binational Softwood Lumber Council (BSLC), National Alliance of Forest Owners (NAFO) and Southeastern Lumber Manufacturers Association (SLMA). …“The United States has an opportunity to bring new, sustainable mass timber technology to our construction industry, and the Timber Innovation Act directs technical assistance and research components already in place. Building construction using wood and mass timber products directly supports jobs in areas of rural America that have yet to recover from the recession and would lessen our dependence on fossil-fuel intensive alternatives, so having the federal government encourage further development of this emerging construction technology stands to benefit and enhance both infrastructure development and putting people to work. AWC thanks all of the cosponsors for leading on the Timber Innovation Act,” said AWC President and CEO Robert Glowinski. “In 2016, LEED O+M/EBOM certified less than 700 projects, representing only a little more than 0.01% (that’s not a typo!) of the 5.8 million existing buildings in the US. That’s one in 10,000 buildings certified. Reducing carbon emissions isn’t going to happen with this approach.”… That’s one in 10,000 buildings certified. Despite the slogan in USGBC “LEED in Motion” reports, a close analysis leads one to question whether in fact there is motion in LEED certification! While the trend in US certifications of existing nonresidential buildings is up quite modestly the past three years, the numbers are still shockingly low: less than 700 projects certified annually since 2010. MOUNT VERNON, Wash. – There were times Carl Bruner was curious as to how it was ever going to be finished, he said Tuesday morning as a crane lifted the first high-tech wood panel up and into place – the first wall of a four-classroom modular school next to Jefferson Elementary. …The legislature approved $5.5 million in spring 2016 to build the structures in five different school districts: Mount Vernon, Sequim, Seattle, and two more in Eastern Washington. To do this, the state is trying out a building technology that’s new to the Pacific Northwest, made up of a familiar material – wood. Cross-laminated timber (CLT) is made up of 2×6 planks of wood – in this case Douglas fir milled in Oregon – layered and glued together. “It’s incredibly strong,” said Joe Mayo, architect at Mahlum Architects in Seattle. Euless, TX — Globally recognized for providing a complete range of NPCA-Certified precast concrete building systems, Superior Concrete Products is offering exceptionally reliable and cost-effective wood fence panels in Texas. The wood fence panels they provide have classic look of wood, and superior durability of concrete, and feature wood texture on both sides. Available in multiple colors, such as pueblo, sand, taupe, terra cotta, desert tan, and many others, these concrete wood fence panels are provided in horizontal or vertical alignments, and have varying heights, from 1′ to 30′. Built to specifications, Superior Concrete Products’ wood fence panels has 5′ gap between the posts and doesn’t require heavy machinery for installation. Impact Investment Group (IIG) has acquired Queensland’s first engineered timber office building, 5 King. This is IIG’s second commercial building acquisition in the $2.9 billion Brisbane Showgrounds redevelopment. 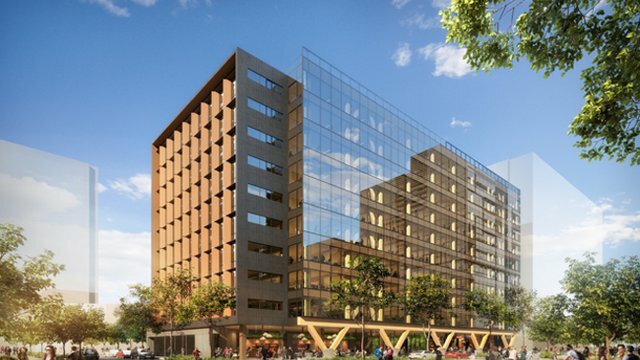 At a height of almost 45 metres, 5 King will be the tallest engineered timber building in Australia and the tallest and largest engineered timber office building by gross floor area in the world, according to The Urban Developer. The building will be the future home of global engineering firm Aurecon, with the company committing to lease four of the nine office floors. The wooden 5 King includes the ground plus nine-stories and three bespoke ground-level retail tenancies. 5 King, due to be completed in November 2018, will be built using cross laminated timber (CLT) and glulam (glue laminated timber), which has a structural strength akin to the traditionally used concrete and steel. VANCOUVER — There is more money to be made encouraging people to hunt grizzly bears with a camera instead of a gun, says the lead author of a new report that calls on British Columbia to end its annual trophy hunt of the animals. Michael Audain, chair of the recently established Grizzly Bear Foundation, said there is “tremendous interest” in bear viewing and supporting that industry’s development would create jobs in remote communities. The 88-page report, which the foundation released Tuesday, lists 19 recommendations aimed at protecting B.C. grizzlies. The proposals range from improving laws around controlling bear attractants to creating an advisory board to direct future research. Steve Thomson, minister of forests, lands and natural resource operations, announced funding for Campbell River trades education as well as for projects in six rural communities on the North Island Friday. “It is a key commitment to building and diversifying economies in rural communities all across the province,” Thomson said. 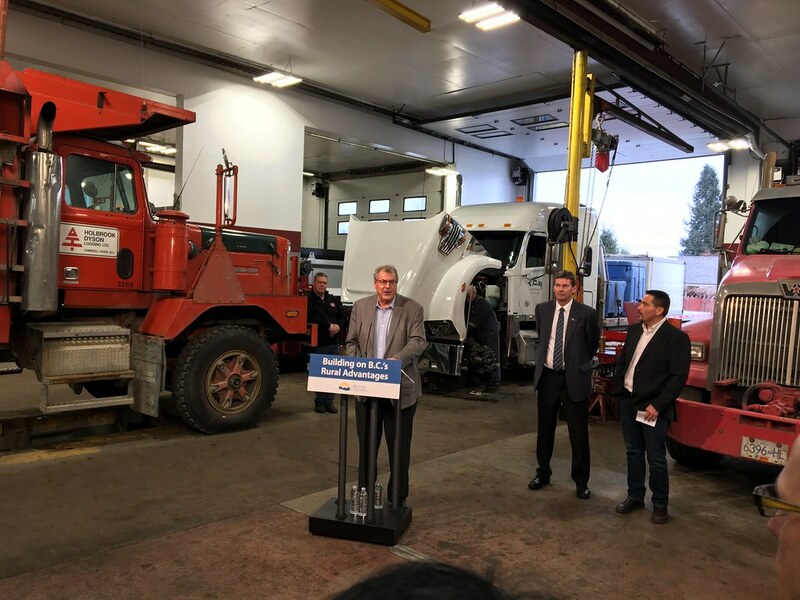 Over the next three years, the government has committed $716,400 for trades equipment in Campbell River secondary schools to provide opportunities for students to explore trades earlier in their education. They have also committed $7.5 million over the next three years to upgrade BC Wildfire Service facilities throughout the province, including the Quinsam fire base. The B.C. legislature attracts its share of fake news events, especially now during a pre-election sitting. We had a couple of these staged protests last week. The Wilderness Committee hauled a giant inflatable plastic grizzly bear to the front steps and pumped it up to attract gullible TV coverage of their petition demanding an endangered species law. No, B.C. grizzlies aren’t endangered. That’s an “alternative fact.” Their news release talked mostly about spotted owls, whose tiny northern fringe population extending into B.C. has been a fundraising favourite of professional tree-huggers for decades. Sweeping logging bans south of the border didn’t “save” spotted owls in their actual home range. It just put forest companies out of business, which is the apparent intent of the Wilderness Committee. In Washington and Oregon, barred owls moved in and displaced their wimpier spotted owl cousins. …The state Department of Natural Resources (DNR) is in the final stages of establishing a new long-term conservation strategy for the murrelet, updating a habitat conservation plan that was adopted in 1997. The department is taking public comments through Thursday on six different conservation plans it has proposed for protecting murrelet habitat, managing the trees and forests they rely on, and ensuring that the state continues to receive revenues from the forest lands it manages across Western Washington. …Environmental and conservation advocates don’t like any of the plans, questioning whether even the best of them reflect up-to-date science on the birds and the increasing threats to them. Those include the loss of suitable nesting habitat, the loss of terrestrial nesting habitat closer to sea and the harvesting of acreage in existing murrelet nesting habitat. In their estimation, none of the plans even give the murrelets a fighting chance at survival. An updated logging plan proposed near Hebgen Lake to reduce wildfire fuels near cabins and along roads has been approved. The document outlining the work is available for review at the Hebgen Lake Ranger District in West Yellowstone or online. The project is also designed to enhance aspen and whitebark pine stands and reduce human/grizzly bear encounters around Rainbow Point Campground. 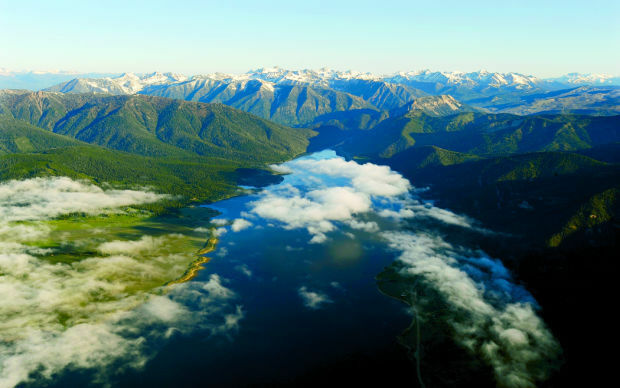 “We realize some people have concerns about the cumulative impacts from this project and others in the area to grizzly bears and lynx,” said Jason Brey, Hebgen Lake District ranger. PORT ANGELES — The Board of Natural Resources is considering five options for managing timber harvests, one of which is more than twice as good for Clallam County’s economy than the option that’s best for the state economy overall. Olympus Consulting presented those projections to the Clallam County and Port of Port Angeles commissioners in a joint meeting Monday. The Board of Natural Resources is considering setting a new sustainable harvest level for the 2015 to 2024 planning decade for forested state trust land in Western Washington. Dan Underwood of Olympus Consulting said he was shocked that Alternative Two, which calls for harvesting 4,893 million board feet across the state, was 2.33 times better for Clallam County’s economy than Alternative One, which calls for harvesting 5,500 million board feet. 4 dead as wildfires roar across central U.S.
KANSAS CITY, Mo. — Emergency crews on Tuesday struggled to contain deadly wildfires that have scorched hundreds of square miles of land in four states and forced thousands of people to flee their homes ahead of the wind-whipped flames. The fires have killed at least four people: Three in Texas and one in Kansas. The fires were burning in parts of Kansas, Oklahoma, Texas and Colorado, and warnings that fire conditions were ripe were issued for Iowa, Missouri and Nebraska, as powerful thunderstorms moved through the nation’s midsection overnight, spawning dozens of tornadoes, according to the National Weather Service. 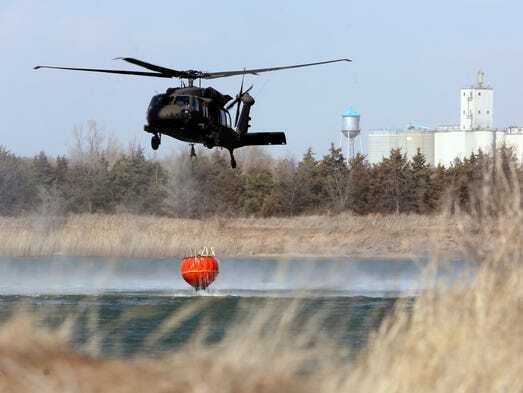 In Kansas, wildfires have burned about 625 square miles of land, said Katie Horner, the spokeswoman for the state’s Department of Emergency Management. KUCHING: Local scientists are asked to explore the possibility of producing timber species that can mature for harvest within five years. Though he acknowledged that the task would be a challenge, Chief Minister Datuk Amar Abang Johari said he was sure with the availability of advanced technology and a certain compound that can boost the growth of trees, coming up with such a species of timber is possible. “I am sure the scientists of today can explore the possibility of increasing the growth rate of some of the indigenous timber species in Sarawak. “Carry out an R&D (research and development) and try to identify the right stock of our indigenous trees that can grow fast, that have the strength, that have the fibre and using modern technology to reduce wastage for us to move forward in the industry, where we can harvest them within five years,” he said. KUCHING: Sarawak wants to explore the possibility of setting up industrial forests with fast-growing indigenous trees to supply wood for the timber industry. Chief Minister Datuk Amar Abang Johari Tun Openg said this would help to preserve the state’s existing permanent forests and totally protected areas while maintaining the timber industry. To this end, he called for research to identify and produce local tree species which can be harvested within five years. “We have to enhance our research and development because Borneo has rich biodiversity with many species of timber that have different lifespans. Europe launched a fourth satellite on Tuesday for its Copernicus Earth-monitoring project to track changes in forest cover and air pollution, the European Space Agency (ESA) announced. The 1.1-tonne, “colour-vision” Sentinel-2B satellite blasted off on a Vega rocket from Europe’s space port in Kourou, French Guiana, overnight, and was successfully placed in Earth orbit, it said. In about three days, controllers will start calibrating instruments to commission the satellite, which is to start operations in three to four months. “With this launch, we are taking another step toward advancing the Copernicus programme, which is the most sophisticated Earth observation system in the world,” ESA director general Jan Woerner said in a statement. Two more satellites are to follow in the coming months.